Gone are the days of slow, bulky car chargers. Charging your phone in the car is easier than ever, so long as you have a tiny, powerful charger. Thankfully, you won’t’ pay a premium for the pleasure because these days good car chargers are extremely cheap. They come in a variety of designs and shapes, and they usually have Quick Charge or USB 3.0 ports. A tiny charger can sit flush with your car’s cigarette lighter, and it’ll never get in your way. A good, low-profile car charger can come in handy in a lot of situations. If you’re using your phone as a GPS on a road trip, you’ll need a solid stream of power to keep things going. If your phone dies by the end of your workday, then charging it while driving can get you a bit more mileage out of your phone’s battery. Some people have a lot of devices, like dash cams and batteries, that need an occasional charge in a pinch. 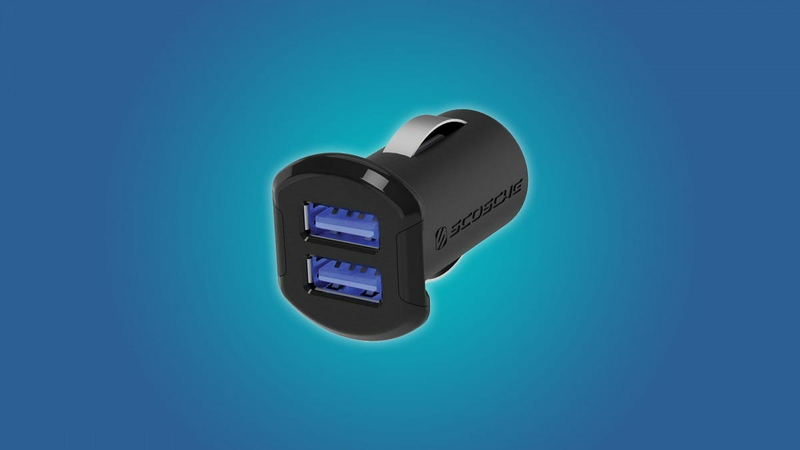 We’ve taken the time to find the most powerful low-profile USB chargers for your car. 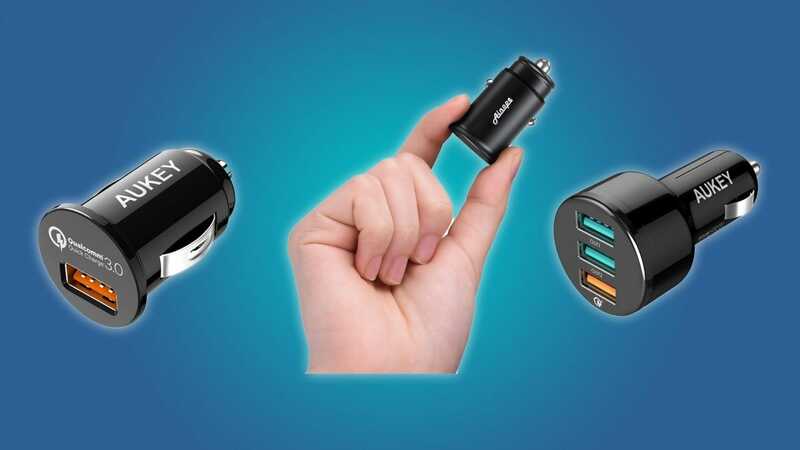 Whether you’re trying to charge multiple devices while driving, or looking for an alternative to the slow-charging USB port that’s connected to your car’s stereo, we’ve got the best car chargers for you. If you have a newer phone that you want to charge as fast as possible on the go, then you should take a peek at the AUKEY USB 3.0. It only has one USB port, but hey, it’s Quick Charge 3.0! This device is also good at recognizing your phone’s power requirements, so you’ll never have any trouble going into Quick Charge mode. The AUKEY is small enough to sit flush with the interior of your car, and it doesn’t have any little lights to bother you while you’re driving. If you don’t have a Quick Charge device, then you may want to opt for something that costs less and has more ports. But to be fair, you’ll likely have a device that supports Quick Charge 3.0 at some point, so you could consider that extra dollar an investment in your future charging enjoyment. Some people just have to have everything. 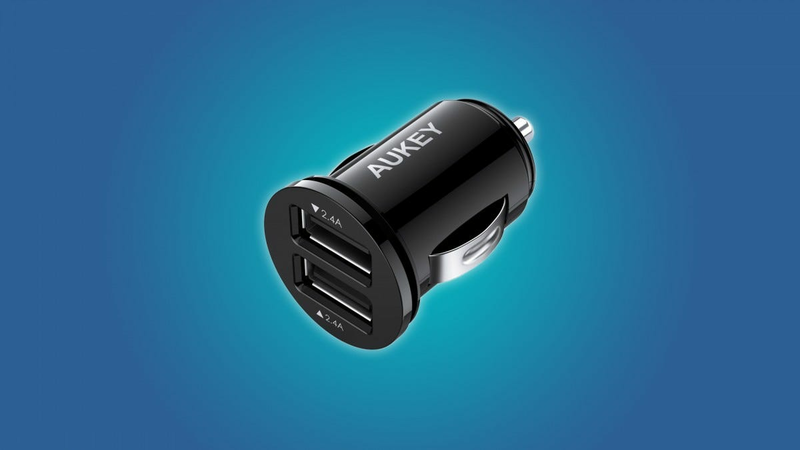 If you’re willing to sacrifice a tiny bit of space for a bigger car charger, then the AUKEY might be your best friend. It has three USB ports, so you can simultaneously charge a bunch of devices at a time while you’re driving. Only one of those ports is Quick Charge 3.0, but the other two offers AUKEY’s Ai adapative charging with up to 2.4A on each port. While the AUKEY may not sit as flush as a two-port charger, it can power a bunch of devices at a time. It’s a great option for road trips, or for people that have devices like dash cams, portable batteries, and cameras that need to be charged on the go. A charger that sits flush with your car may not be enough. If you’re looking for a car charger that can blend in with all of the lights on your stereo and dashboard, then you should take a gander at the SCOSCHE ReVolt. It has a subtle blue power light that will complement all the little lights in your car, and its two 12 watt USB ports can provide a quicker charge for your phone than the bulky old charger that you’re used to. This device doesn’t have Quick Charge 3.0 ports, but that’s not a big deal when you’re just trying to keep a charge on your phone. You won’t see the benefit of a Quick Charge port unless the device you’re charging is designed to take advantage of the more advanced power output. That being said, if you have a new big-name phone, then you may want to drop the extra couple dollars on a charger that supports it. If you want a car charger that won’t be worse for wear if you step on it and will disperse heat more efficiently than a plastic model, well this is the charger for you. 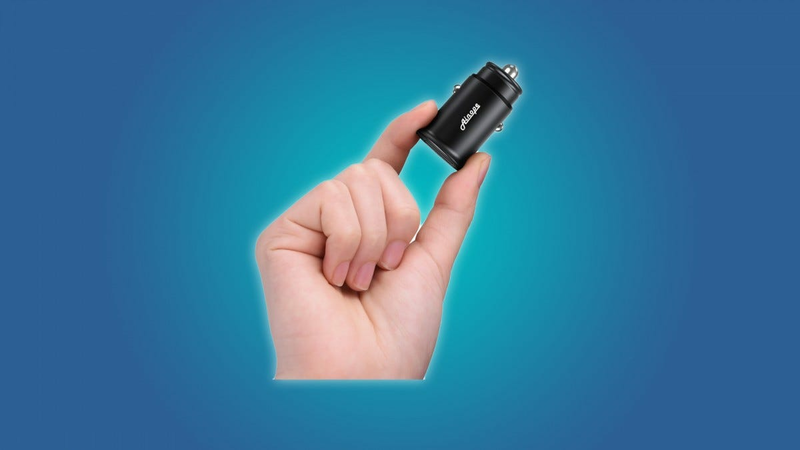 The Ainope car charger is made with an aluminum alloy, so you don’t have to worry about it getting banged up from your abuse. It’s a tiny device that can sit flush with your car’s interior, and it’s so small that you can close your cigarette lighter’s plastic door when the charger isn’t in use. The Ainope can output up to 2.4A on its ports but doesn’t support Quick Charge. 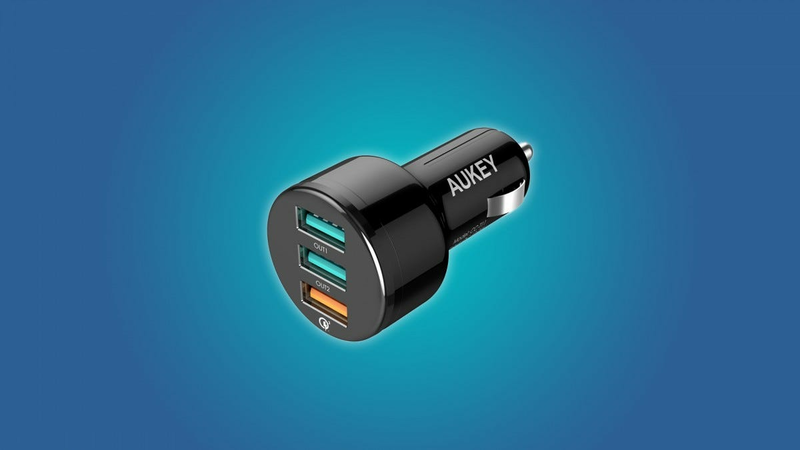 If you’re looking for a simple, low-profile car charger, then you should think about the AUKEY Mini Car Charger. 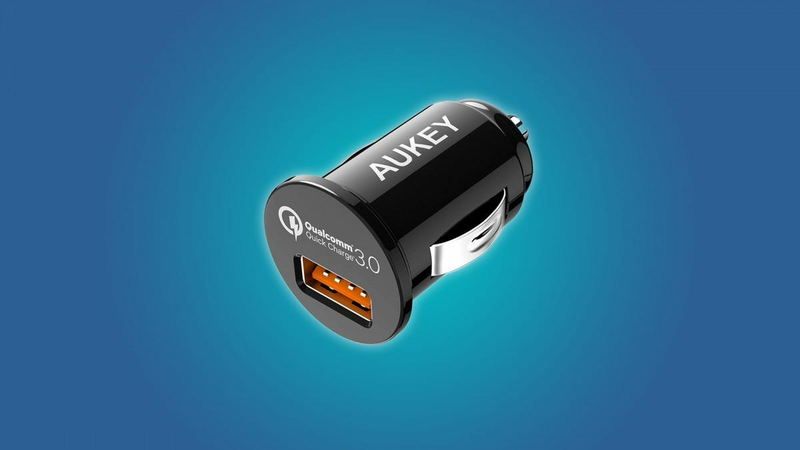 It’s an affordable piece of equipment, and it’s small enough that the plastic cap on your car’s cigarette lighter will still close when the AUKEY is plugged in. It’s cheap, dependable, and supports 2.4A on each port. Your office is freezing and you’re certainly not imagining it—office temperatures are set, year round, at a temperature that’s very uncomfortable to most people. Here’s five ways to stay warm no matter how frosty your office is.